Two hours and a half from Karyes lies the monastery of Filotheou. 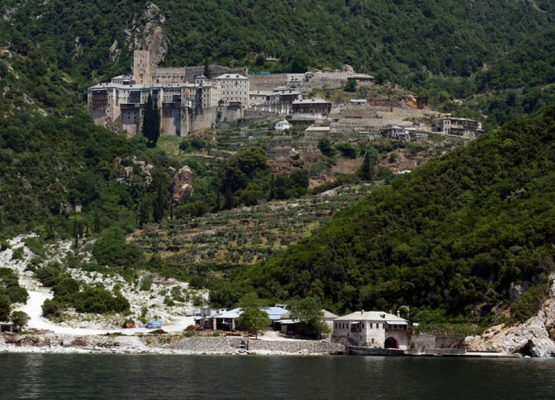 It is built 300 meters above the sea level.It was built by St. Filotheos before 972. 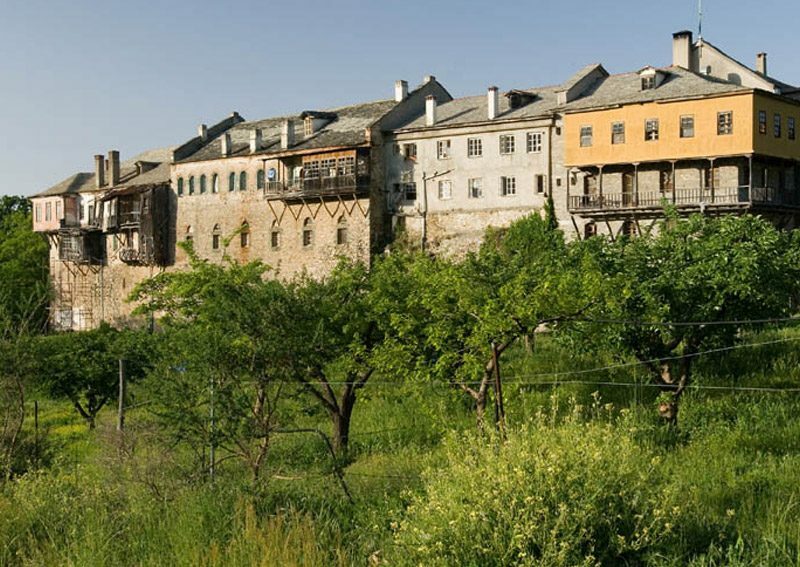 At the beginning it was called Fteris monastery.Later on, Nikiforos Votaneates ( 1078-1081) added new buildings and offered many treasures to the monastery. Georgian Leontios Sovereign and his son Alexander renovated the monastery in 1492. In 1871 the monastery was all burned down except the main temple,the altar and the library,but the monks rebuilt it. In the main temple they are wall-paintings which date from 1752 and its name was given in honor of Christ’s Annunciation. In the monastery they are many treasures,some of them are: The arm of St. John Chrysostomos,the miraculous icon of Glykofilousa e.t.c. To the Filotheou monastery belong 14 cells. 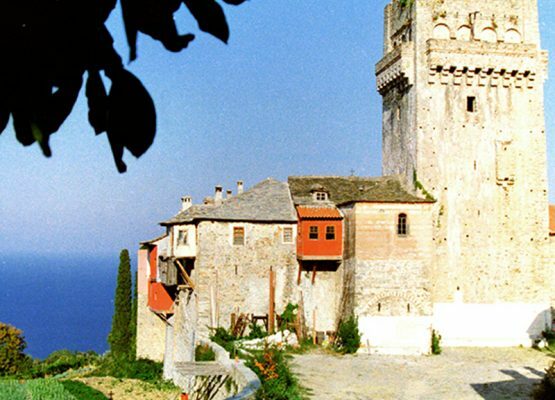 It is situated in the west foot of Athos, 20 min from the sea and is dedicated in the Presentation of Christ to the temple. The monastery is situated between the monasteries of Great Lavra and Iviron, on a slope by the sea and is dedicated to St Peter and St Paul. It is built by the sea, between the monasteries of Docheiariou and St Panteleimonos, and is dedicated to St George. 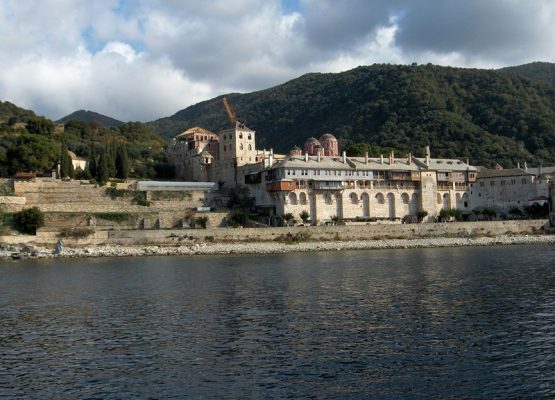 All information you must know about your visit to Mount Athos in Halkidiki Greece.